Making the experience of building the custom home or cottage of your dreams easy, affordable, and enjoyable… that’s the goal of the Beaver Homes and Cottages Program. Whether you select a standard model or have our Architectural Solutions Group modify a model to your specifications, the finished design will meet the requirements of the National and Provincial Building Codes. The price of the Premium Material Package as originally described in the agreement to purchase with Home Hardware, will not increase from the beginning of the project through completion, in normal construction time. The standards of building components and other materials supplied by Home Hardware at the time of purchase conform to, or exceed, the National Building Code of Canada, as well as Provincial Codes. All manufactured products are covered by specific Manufacturer Warranties. 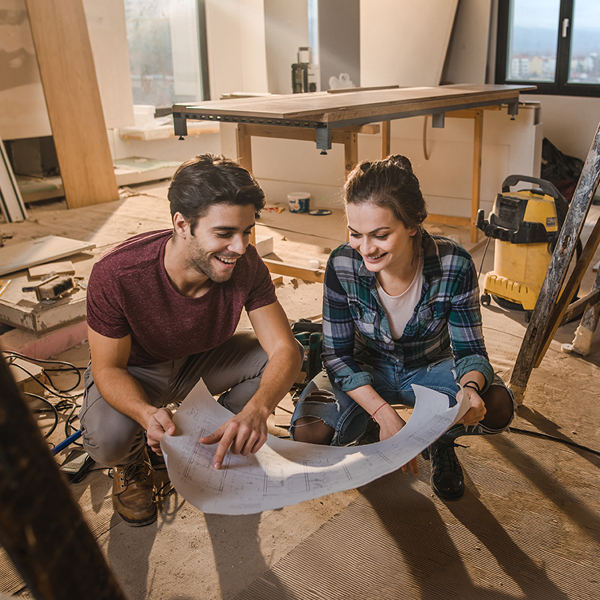 The workmanship of all building products and components supplied by Home Hardware are guaranteed to be of a standard acceptable to good building practice. Your Beaver Material Package, as described in the Beaver Home and Cottage Package Specifications, shall be sufficient to complete construction in accordance with the National and Provincial Building Codes and the construction drawings supplied with your Beaver Material Package. * Valid with a signed and accepted agreement to purchase a Beaver Home or Cottage Material Package.